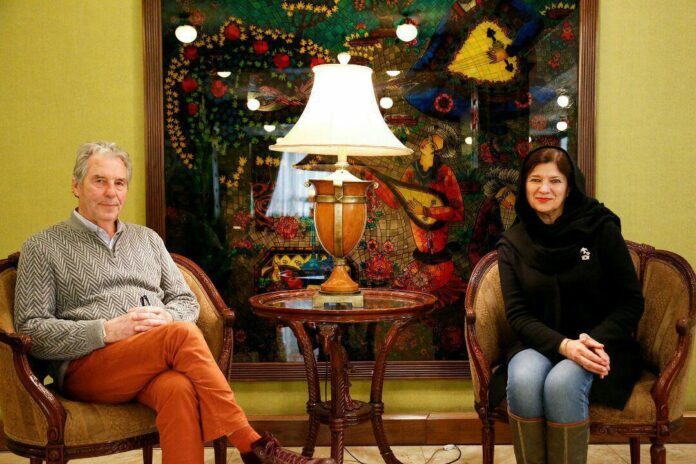 A French artist, who has traveled to Iran along his wife to hold a photo exhibition says they were fascinated by Iranian culture and hospitality. Alain Ceccaroli and his wife Masma say they are charmed by Iranian culture, and are going to travel to the country after a few months to enjoy Iran’s many attractions. They said it was their first time in Iran; however, as there are many attractions in the country, they are going to make another trip to Iran soon, but this time as two tourists. “Of course, this will not be my last trip to Iran,” he says adding that he would like to visit other cities of Iran during Nowruz in which Iranians celebrate Persian New Year. He says this collection of works are from his visit to Switzerland’s Alps and France’s Pyrenees mountains in 1985. Q: Are there any pictures of Iranian landscapes in this collection? A: No, because I had not traveled to Iran before. This is my first trip to Iran and certainly will not be the last. Q: Do you plan to hold another exhibition in Iran again? A: It is not clear yet. I want to visit the cities of Iran and meet its people who, I think, are very caring and kind. Although I have traveled a lot, I have never seen any people more hospitable than Iranians in Isfahan. Masma (Ceccaroli’s wife): We really loved Isfahan. It was a beautiful and clean city. As soon as I return to France, I suggest to my family and all my friends to have a trip to Iran. As some media sometimes publish false news about Iran, I will tell them about our experiences and the facts in Iran. We did not want to be restricted by the things we read in the press or see in the media. We wanted to touch the reality ourselves. We know there are problems in Iran, but it should be noted that we are next to you. Q: What do you think about some foreign media that write about Iran with specific approaches and try to show Iran an insecure and undeveloped country which is involved in war and unrest? Masma: What is certain is that France’s approach is a cooperative one towards Iran. Ceccaroli: The views of governments and nations can be two separate issues. We came to Iran as artists to see the nature, architecture and meet people. Q: Mrs. Ceccaroli, some Western media describe Iran as a country that restricts women? Do you agree? Masma: Not at all. During this time, we met many women in the organisations and in the market. There were also artist women who were busy with professional activities. The presence of women in the Iranian society was something we saw ourselves. We did not imagine Iranian women to be so active in different fields. Alain Ceccaroli was born in Morocco in 1945. He has always lived and worked in the Mediterranean. So far, he has held many exhibitions in various cities of France, as well as Switzerland, Belgium and Greece. 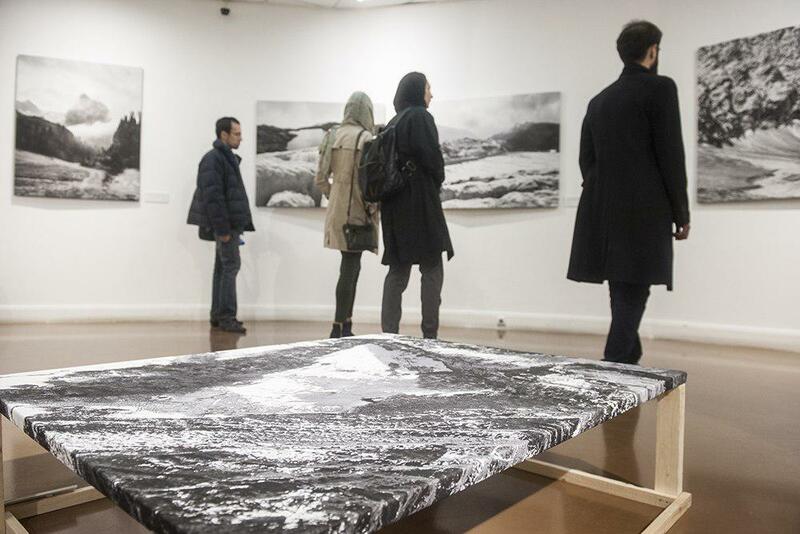 A collection of Ceccaroli’s photographs titled “Between Wandering and Eternity” was put on show in the Iranian capital Tehran. It ran until November 30.